Does the Federal Circuit Need a Fresh Viewpoint? The Federal Circuit was originally created to bring more uniformity to patent law and limit forum shopping. With very few exceptions, the Federal Circuit has exclusive jurisdiction of appeals involving patent law issues from the district courts and the PTO. In recent years, the U.S. Supreme Court has been taking a number of patent cases and reversing the Federal Circuit, but the U.S. Supreme Court certainly can not take all of the patent law cases where it perceives error. In other areas of law, the Supreme Court looks to circuit splits as an indication of an issue being ripe for it to declare the law of the land. In patent law, there are no circuit splits. 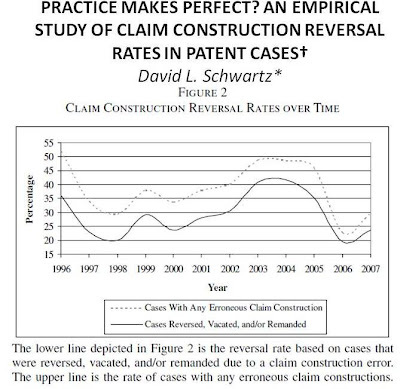 Because of this, the Federal Circuit has been criticized for being isolated and for having a sterile jurisprudence. This is based on its status of effectively being the “supreme court” of patent law. Recently, the U.S. Supreme Court has been asking for briefs from the United States–either the Department of Justice or the solicitor of the Patent Office–at the cert stage to assist in determining whether to review certain patent law cases.